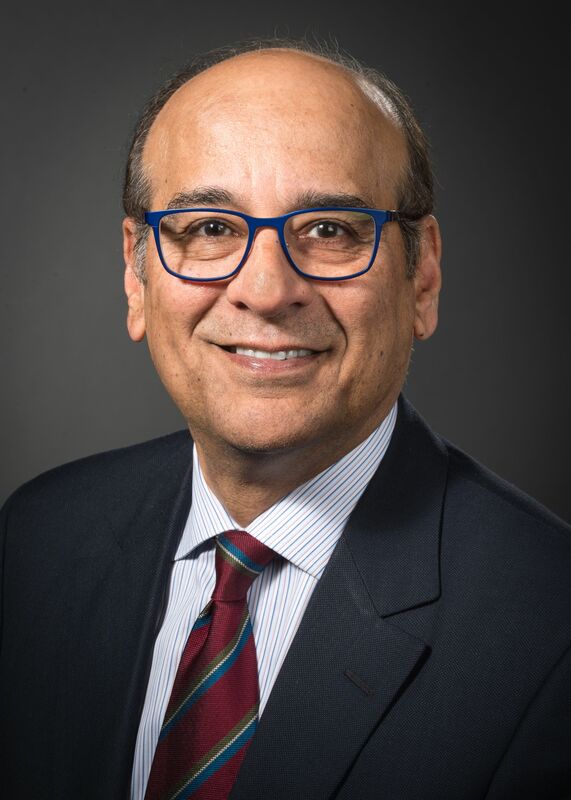 Raj Narayan, MD, FACS, is professor and chairman of the Department of Neurosurgery at the Zucker School of Medicine and director of the Cushing Neuroscience Institute. He has over 30 years of experience in traumatic brain injury research and is an experienced clinical trials expert. Dr. Narayan has thus been closely involved with the conception and development of the smart sensor program from its inception. He will supervise Dr. Chunyan Li and the laboratory team in the performance of the proposed studies. He is the principal investigator of the DOD grant that supports the development of the smart sensor. This sensor will be modified to a wireless system as proposed in the present grant. Dr. Narayan is an internationally recognized expert in the treatment of head injury and has published more than 100 peer-reviewed papers and over 50 book chapters. He also has co-edited the reference textbook Neurotrauma (McGraw-Hill) and helped develop the national evidence-based Guidelines for the Management of Severe Traumatic Brain Injury. The Cushing Neuromonitoring Lab at The Feinstein Institutes for Medical Research, led by Dr. Narayan and Dr. Li, aims to develop the next generation of human monitoring devices using BioMEMS technology, with a particular focus on the monitoring of the injured brain. Their recent work has focused on the development of a “smart catheter” for the monitoring of multiple physiological parameters simultaneously with a single monitor. Multiple sensors have been incorporated into a single catheter-based device allowing for simultaneous real-time monitoring of multiple measures of brain function. These measures include brain tissue oxygen, blood flow, pressure, temperature, EEG and brain chemistry. It is anticipated that this device will allow clinicians to continuously monitor the milieu within the brain and to make changes whenever there is a physiological imbalance. Thus, Dr. Narayan’s team hopes to create an early warning system that will alert the clinician and hopefully avert secondary brain injury. In addition, the smart catheter allows for drainage of excess fluid to reduce pressure in the brain. Therefore, both treatment and monitoring of multiple measures are provided in a single device. Once they have completed the engineering of the device, the smart catheters will be tested in small and large animals for safety, accuracy and stability. The accuracy of the sensors will be compared to FDA-approved devices for each of the different measurements. Finally, the device will graduate to trials in patients with traumatic or hemorrhagic brain injury prior to broader military and civilian clinical use. Robertson CS, Gopinath SP, Narayan RK, et al: “SjvO2 monitoring in head-injured patients.” J Neurotrauma 12(5):891-896, 1995. Gopinath SP, Robertson CS, Narayan RK, et al: “Clinical evaluation of a miniature strain-gauge transducer for monitoring intracranial pressure.” Neurosurg 36(6):1137-1140, 1995. Ritter AM, Gopinath SP, Narayan RK, et al: “Evaluation of a regional oxygen saturation catheter for monitoring SjvO2 in head injured patients.” J Clin Monit 12(4):285-291, 1996. Narayan RK, Michel ME, Ansell B, et al: “Clinical Trials in Head Injury.” J Neurotrauma 19(5):503-557, 2002. Li C, Wu PM, Jung W, Ahn CH, Shutter LA, Narayan RK: “A novel lab-on-a-tube for multimodality neuromonitoring of patients with traumatic brain injury (TBI).” Lab Chip 9:1988-1990, 2009. Li C, Ahn CH, Shutter LA, Narayan RK: “Toward real-time continuous brain glucose and oxygen monitoring with a smart catheter.” Biosens Bioelectron 25:173-178, 2009. Li C, Wu P-M, Shutter LA and Narayan RK: “Dual Mode operation of flexible piezoelectric polymer diaphragm for intracranial pressure measurement.” Appl Phy Lett 96: 053502, 2010. Li C, Shutter LA, Pei-Ming Wu, Chong H. Ahn, Narayan RK: “Potential of a simple tab-on-tube for a point of care measurements of multiple analytes.” Lab Chip 10,476–1479, 2010. Li C, Wu P.M, Hartings J.A, Wu Z, Ahn C.H, LeDoux D, Shutter L.A and Narayan R.K: “Smart catheter flow sensor for real-time continuous regional cerebral blood flow monitoring.” Appl Phy Lett 2011; 99: 233705-233705-4. Li C, Wu P.M, Wu Z, Ahn C.H, LeDoux D, Shutter L.A, Hartings J.A and Narayan R.K: “Brain temperature measurement: A study of in vitro accuracy and stability of smart catheter temperature sensors.” Biomed Microdevices 2012; 14: 109-118.